Prof Tony Jorm is a Professorial Fellow and an NHMRC Senior Principal Research Fellow. He leads the Population Mental Health Group within the Melbourne School of Population and Global Health. His research focuses on building the community’s capacity for prevention and early intervention with mental disorders. Prof Jorm is the author of 20 books or monographs, over 500 journal articles and over 30 chapters in edited volumes. He has been awarded a Doctor of Science for his research and elected a Fellow of the Academy of Social Sciences in Australia. 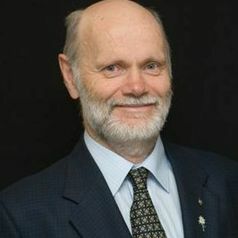 He is a past President of the Australasian Society for Psychiatric Research. He has been listed in ISI HighlyCited.com as one of the most cited researchers in Psychology/Psychiatry of the past 20 years.